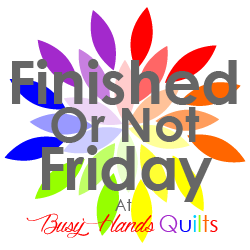 I always have good intentions of joining quilt a longs but somehow it never seems to happen. 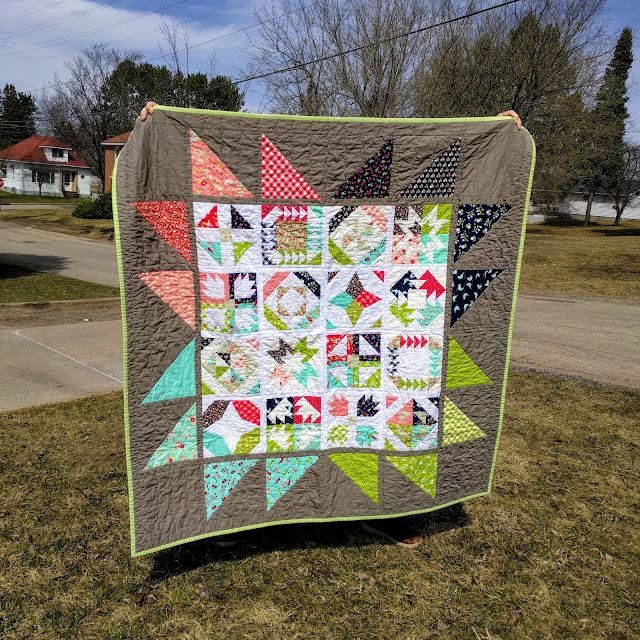 So this year I wanted to actually join a few (plus it was also encourage me to blog about them and connect with other quilters) and when I saw the Modern HST Sampler from Alyce at Blossom Heart Quilts I knew I wanted to join! So far so good, I've kept up and have completed this months blocks! 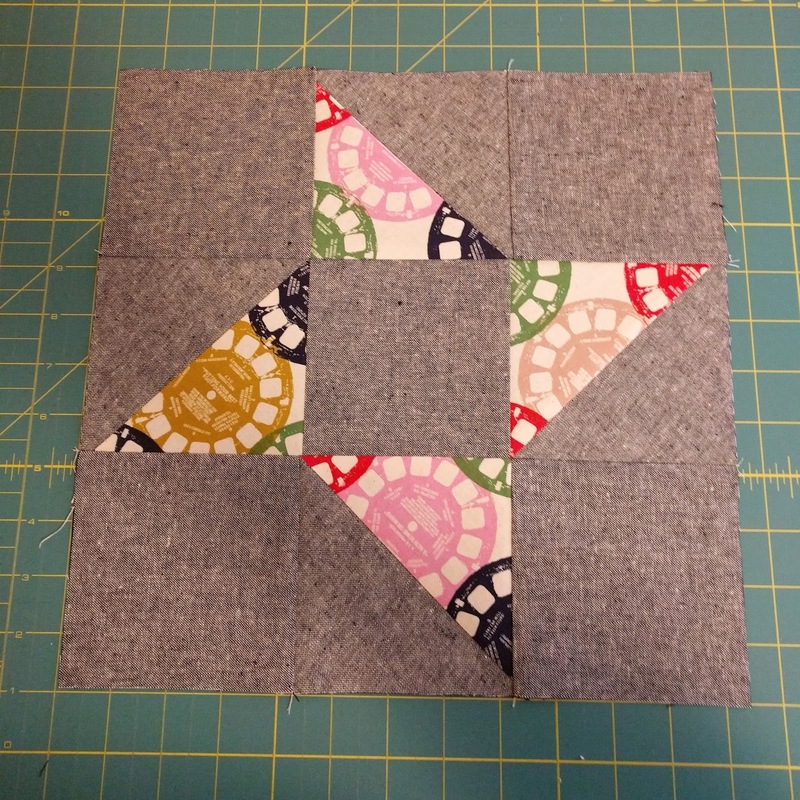 For this quilt I am using my Cotton+Steel from various collections and Essex Yarn Dyed Linen in Black as the background. 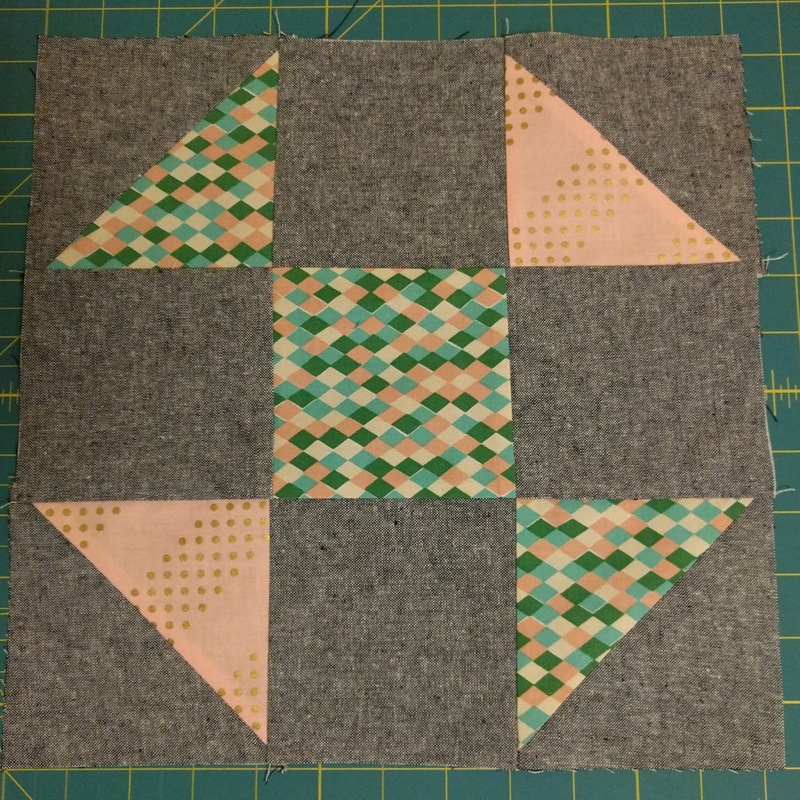 This quilt is looking great already! My version of Candy or traditionally know as Shoo Fly. My version of Ninja or traditionally known as the Friendship Star. 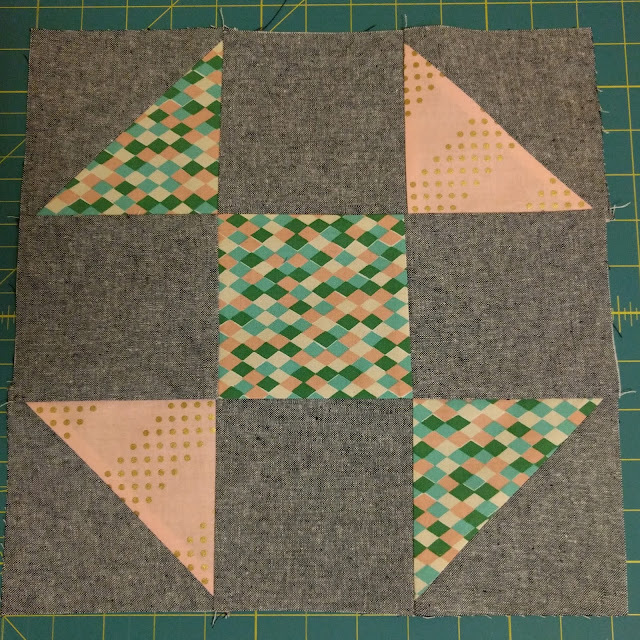 This is my first time joining a mystery quilt a long and I can't wait to see what the next block will be! 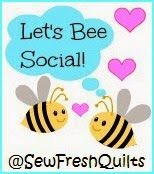 Linking up with Alyce from Blossom Heart Quilts for Sew Cute Tuesday. Looking great. 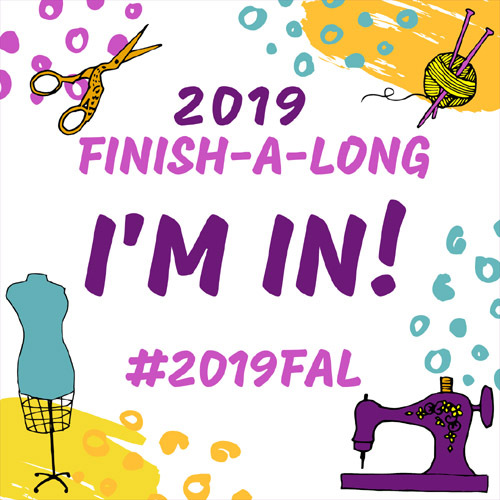 I love the fabrics you have chosen. The Essex Linen is setting them off nicely. Good luck with keeping up. I love the Essex linen background! I really want to make a quilt with it one day. Surely this is the year! 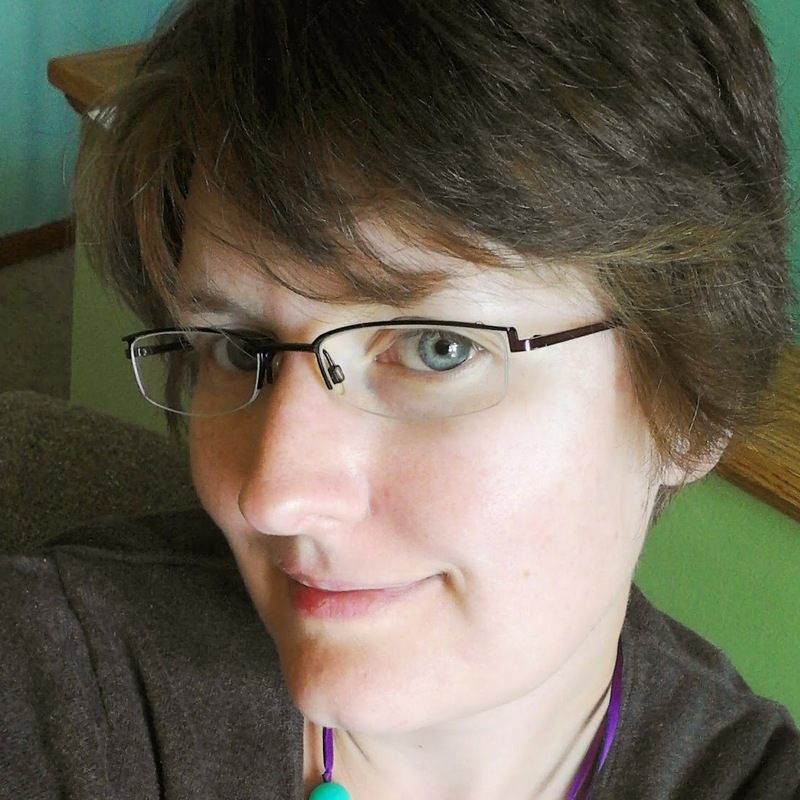 Love your Ninja block and the linen background. Have fun !